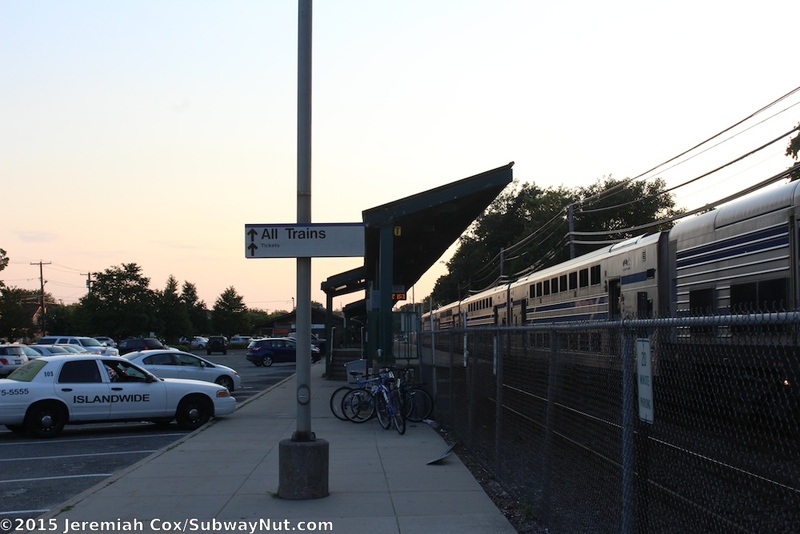 Patchogue is the terminus of frequent service along the Montauk Branch. 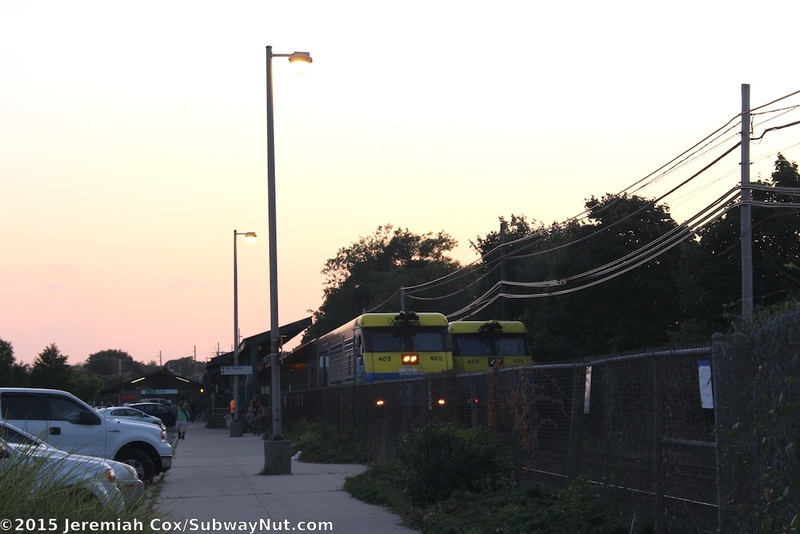 This station receives off-peak "Scoot" service (sometimes replaced by dedicated Jamaica-bound trains from the yard in Speonk) to and from Babylon roughly hourly. 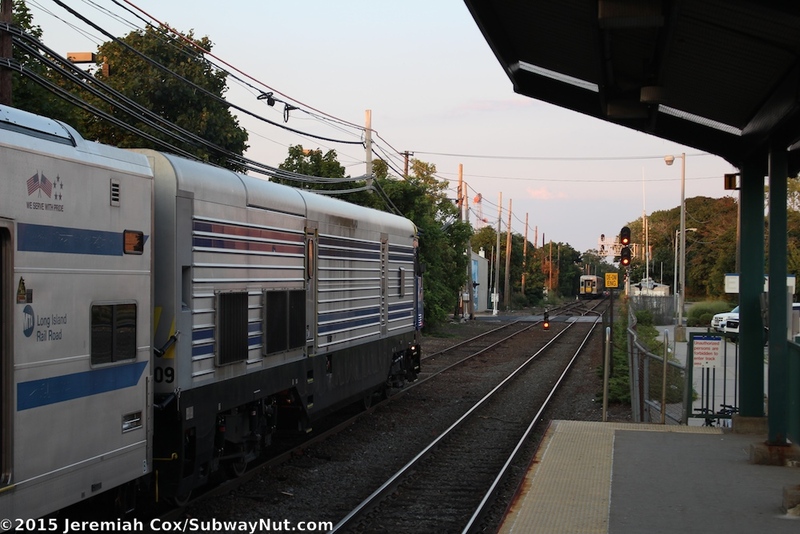 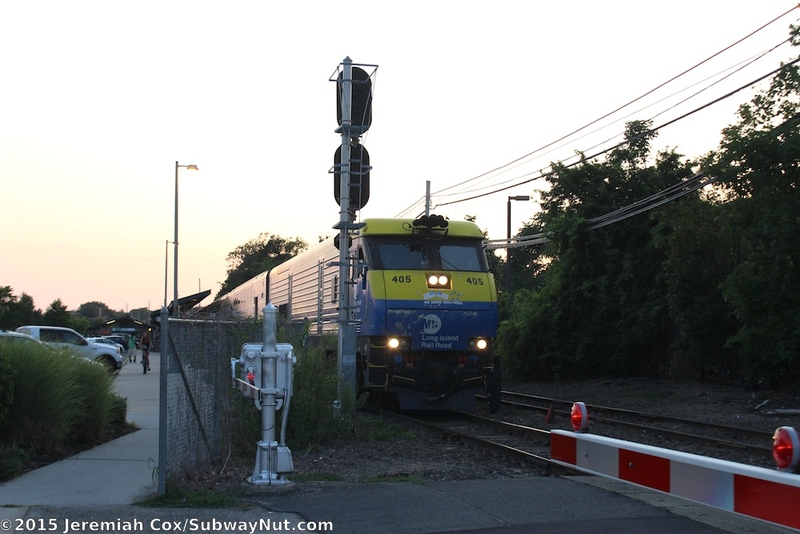 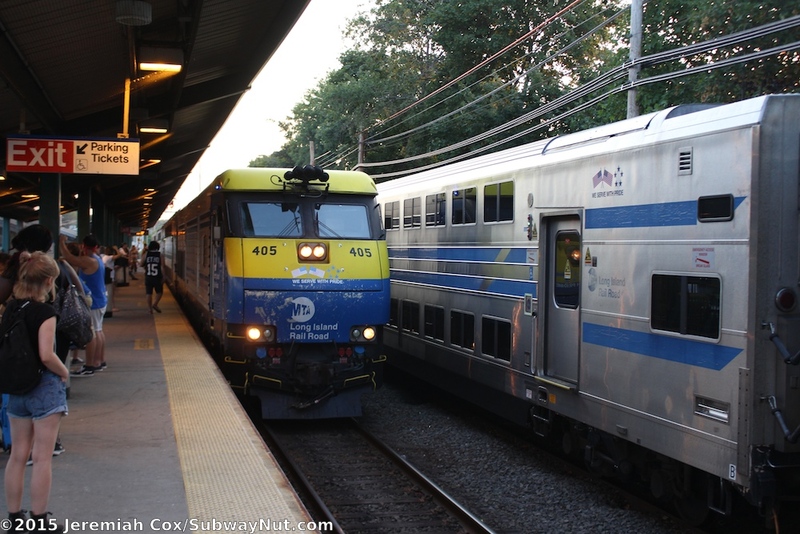 It is a fitting place for service to become less frequent since the stop is 4 miles west of Interlocking Y (a mile east of Sayville Station) where the double-tracking of the Montauk line ends (at MP 50) and becomes a single-track line with passing sidings the rest of the 65 miles out to Montauk. 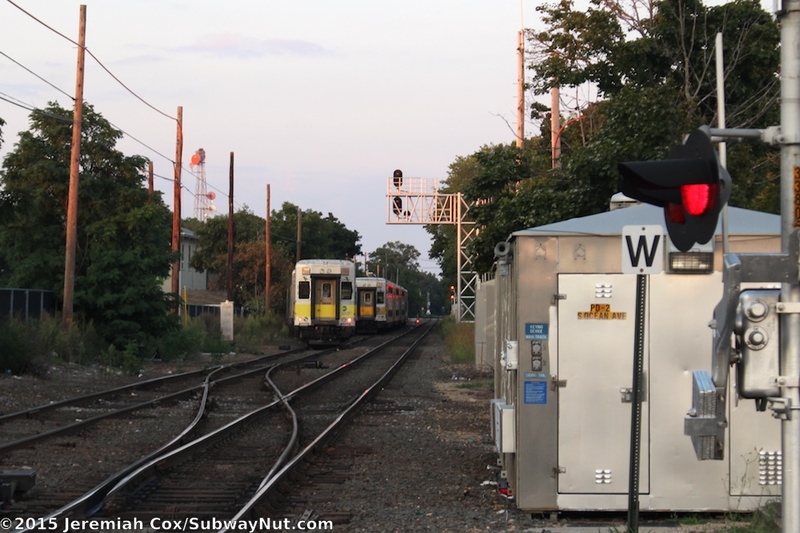 Although the station is major terminus, the station lacks a yard. 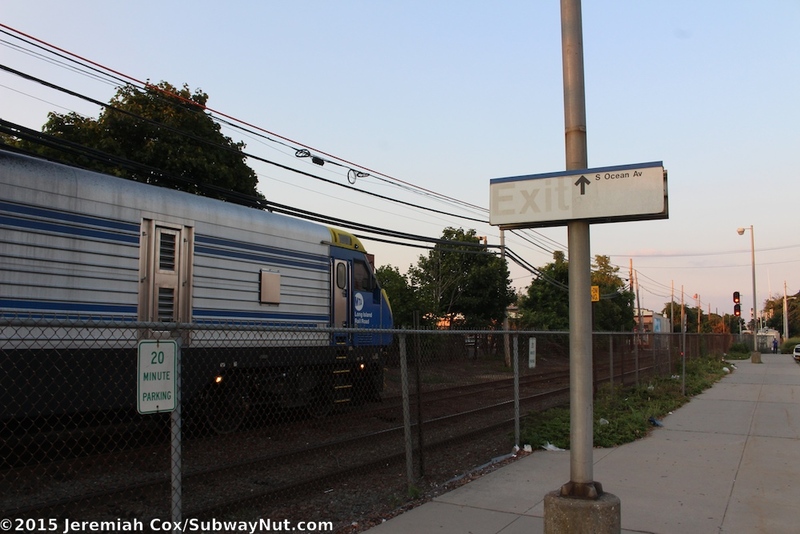 Speonk Yard, 18 miles further east is the one train yard between the electric Babylon Yard and Montauk Yard. 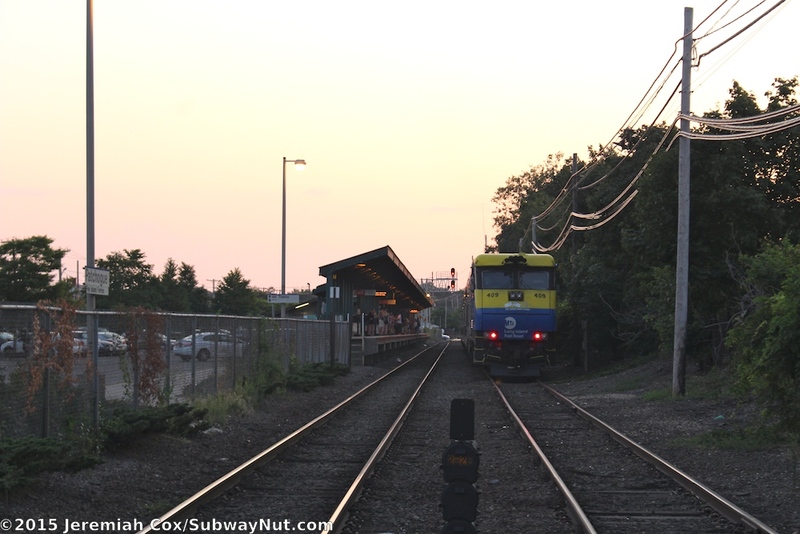 The stop does contain two siding tracks. 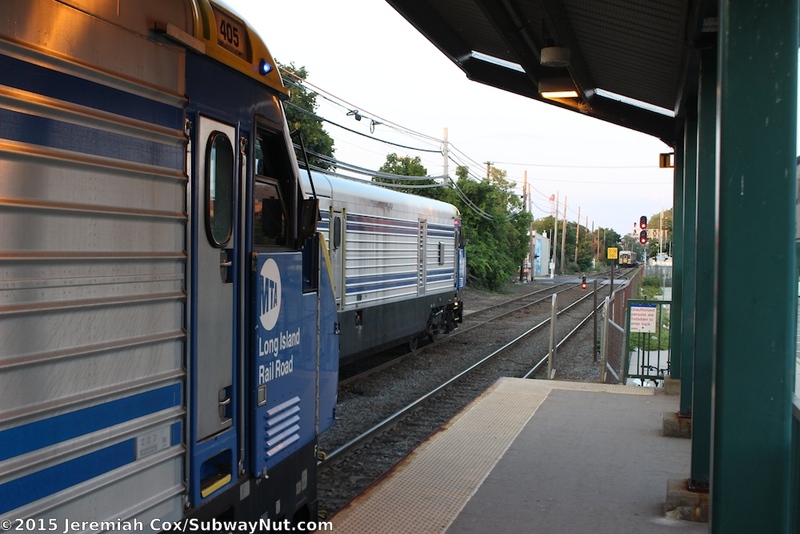 The longer North Track that is directly across from the station platform and continues across South Ocean Avenue and the much shorter Fence Track that can house about three of the four car trainsets, normally used in scoot service that branches off the North track east of the station. 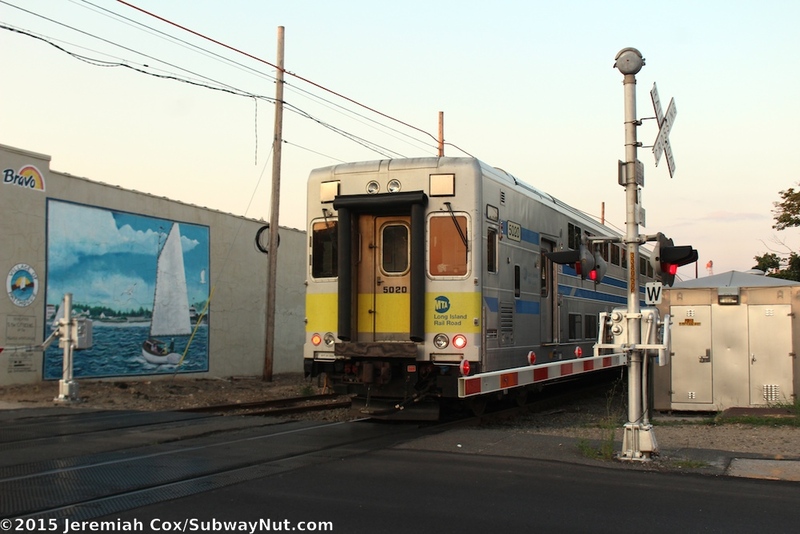 Until 2006 the station was home to a tower where trains received train orders via hooping. 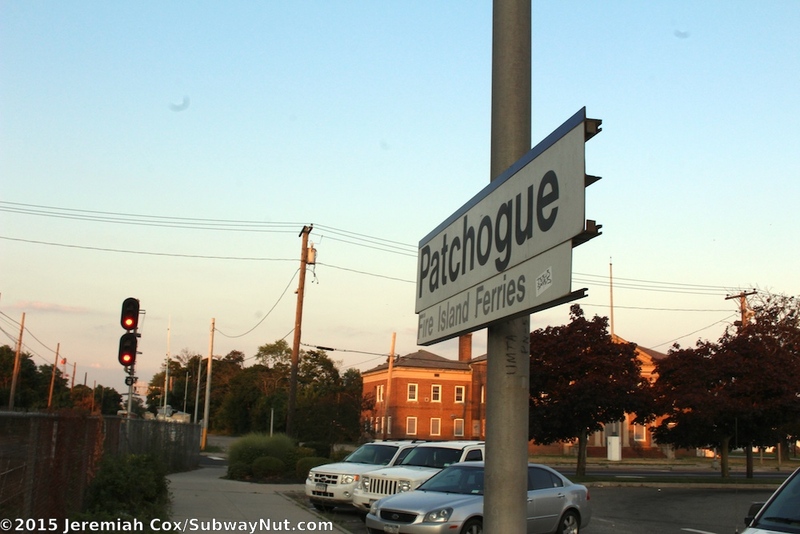 This tower was leaning a bit in its later years and referred to by residents as "The Leaning Tower of Patchogue." 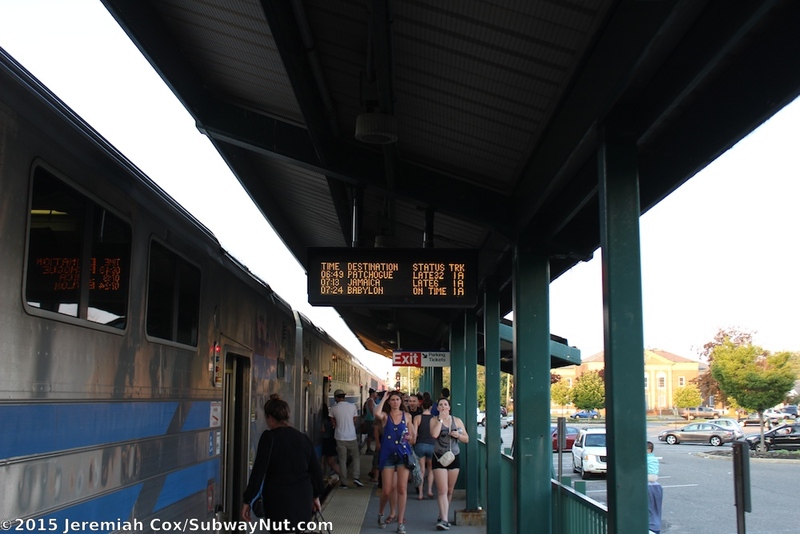 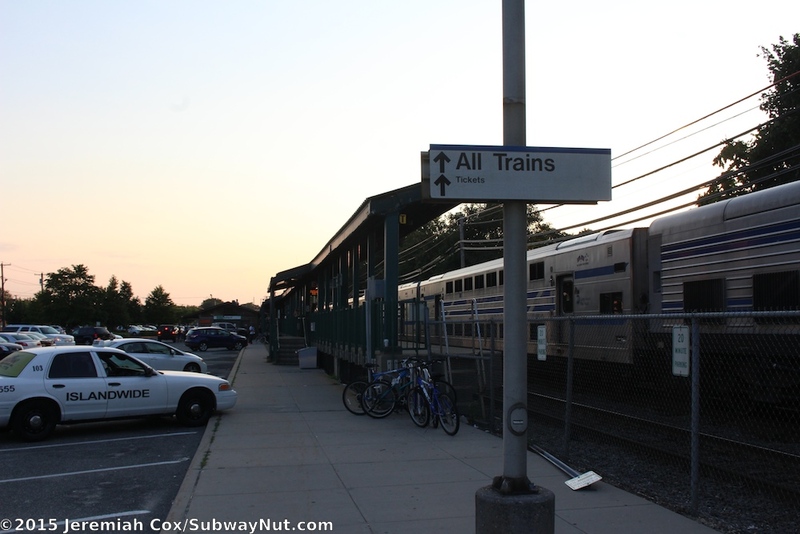 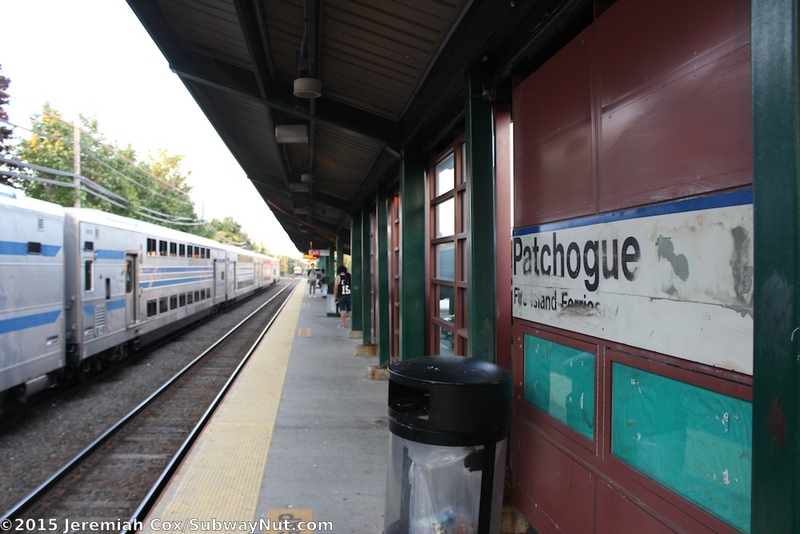 For passengers, Patchogue has a single 6-car long side platform along the south side of the main track. 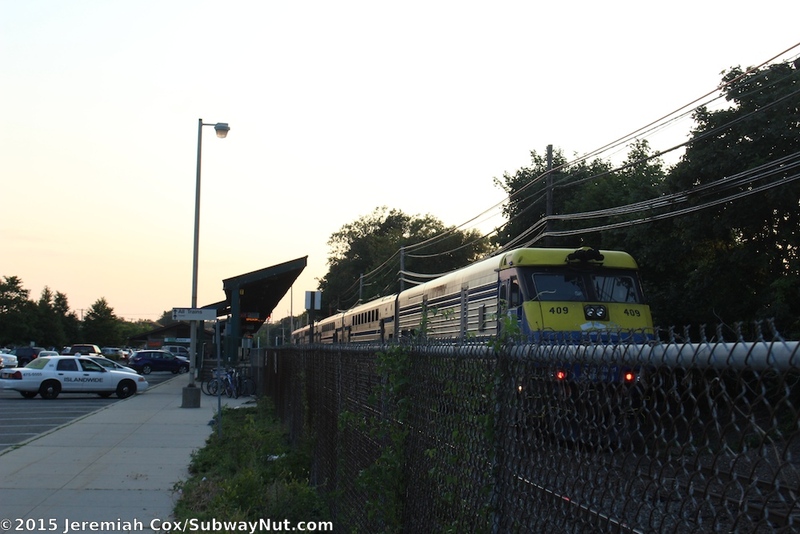 The platform is entirely covered by a green canopy structure that is angled away from the track beneath it is a series of maroon colored windscreens. 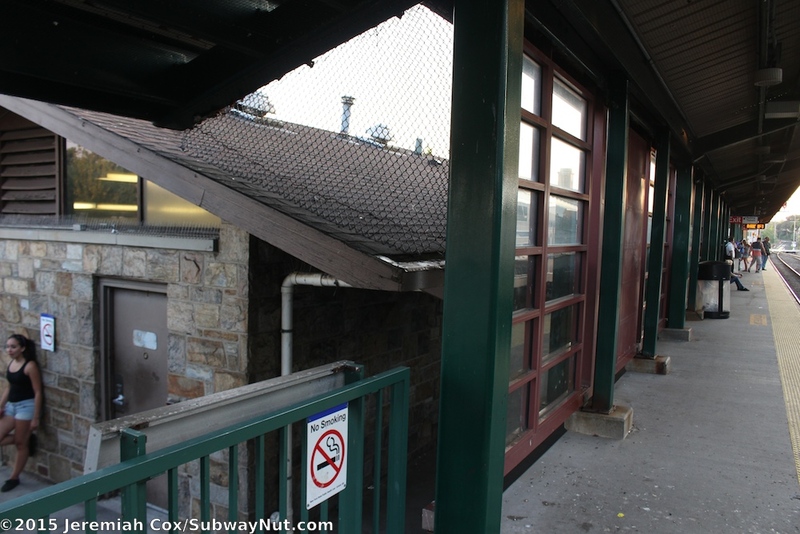 Along the middle of the platform is a "modern" 1963 station house with stone walls and a slightly angled roof. 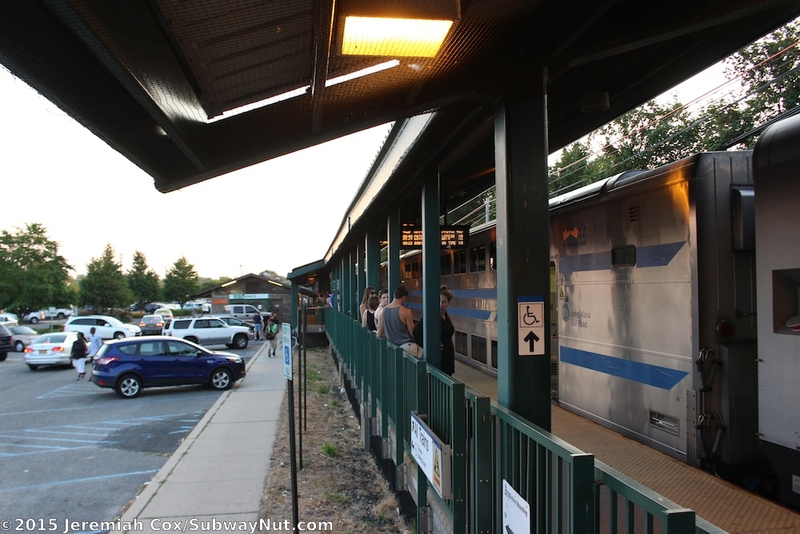 Inside is a small waiting area with modern NYC subway wooden benches and a ticket office open for one morning shift 7 days per week (the waiting room is open till 10:00pm on weekdays but only 1:45pm on weekends). 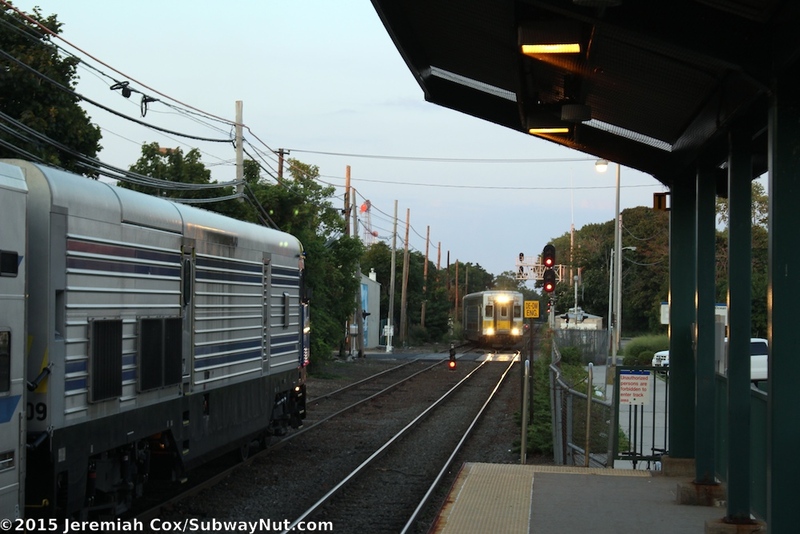 The platform is equidistant between the grade-crossings of Ocean Avenue (to the east) and West Avenue with about 300 feet of distance between each street and an end of the platform. 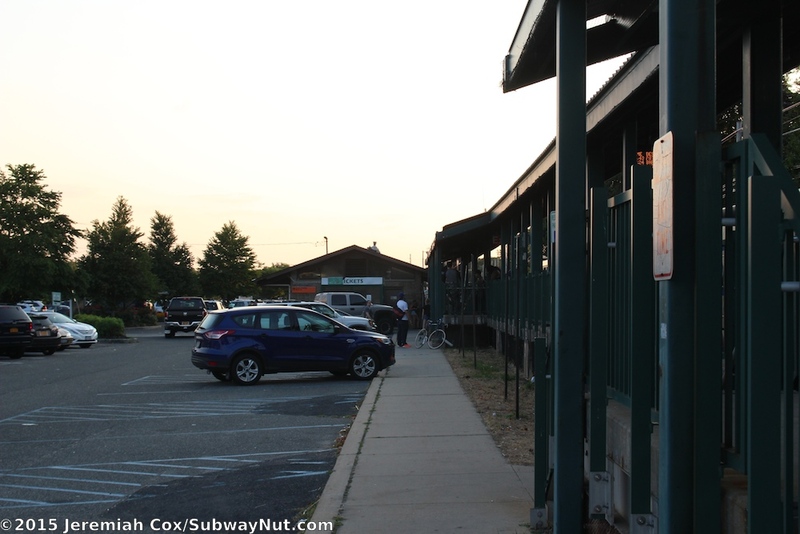 The station's parking lot (run by the village, free for residents, $150 a year or $2 per day for non-residents) extends south from the platform to Division Street with two rows of parking. 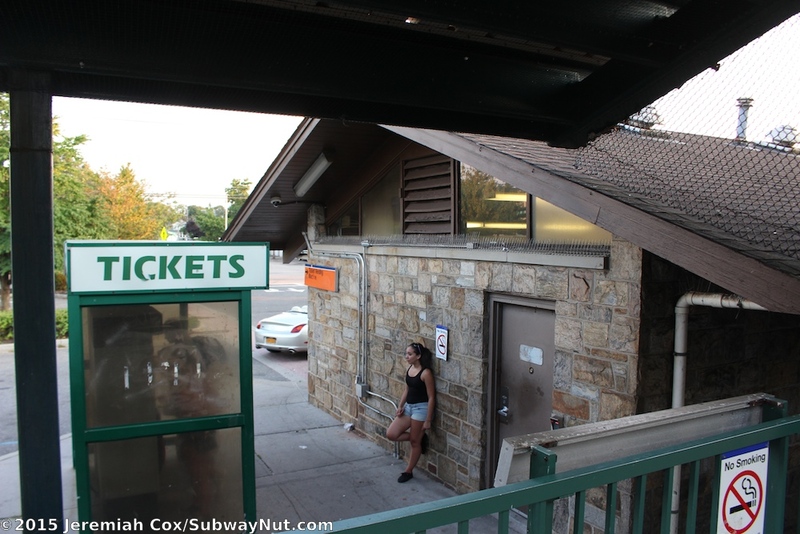 A central drop off area is in the middle of the platform in front of the station house and also leads to the main exit of the parking lots at Division Street across from the end of Cedar Avenue.